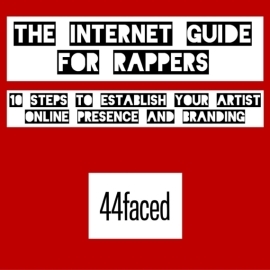 The Internet Guide for Rappers: 10 Steps to Establish Your Artist’s Online Presence and Branding is an eBook guide for rappers to take control of how they are perceived. 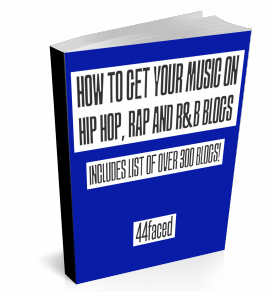 According to the principle, “if you do not brand yourself, you will be branded,” by implementing the steps in this guide, you will learn how to stand out among the millions of other rappers out there. 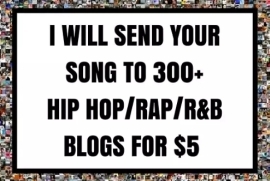 What Will “The Internet Guide for Rappers” Give You? Why Did I Write “The Internet Guide for Rappers”? I wrote The Internet Guide for Rappers after having worked with rappers, artists and producers, and seeing common mistakes repeating themselves. Either I would keep getting asked the same questions, or I would see some lack in the artist’s online presence or the way the artist was organized, which was holding them back. I designed The Internet Guide for Rappers also as a DIY guide for artists to take control of their digital presence and career. The guide aims to be practical and hands on. It is made of actionable steps to realize each of the points. It also takes online presence and branding from the ground up; all the way from rethinking your artist name, to how you’ll plan your every action in the upcoming 12 months in order to reach your goals.